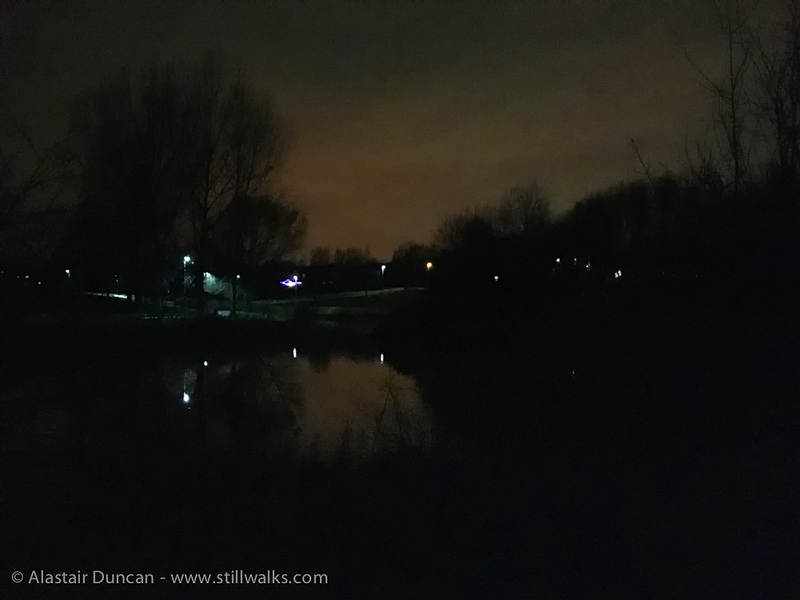 The view of and colours in the night sky over Middlesbrough changed as I walked around the other, unlit side of Hemlington Lake. The shapes and silhouettes of trees enhanced the reflected colour on the clouds and proved there was light to be seen. However, the footpath on this side of the lake was very dark and it was only because I know the path well that I had no problems seeing where I should walk. As I came round this side of the lake I disturbed some of the birds roosting in the vegetation at the lake side. So at this point in my night walk, there was a little more sound than perhaps there should have been. 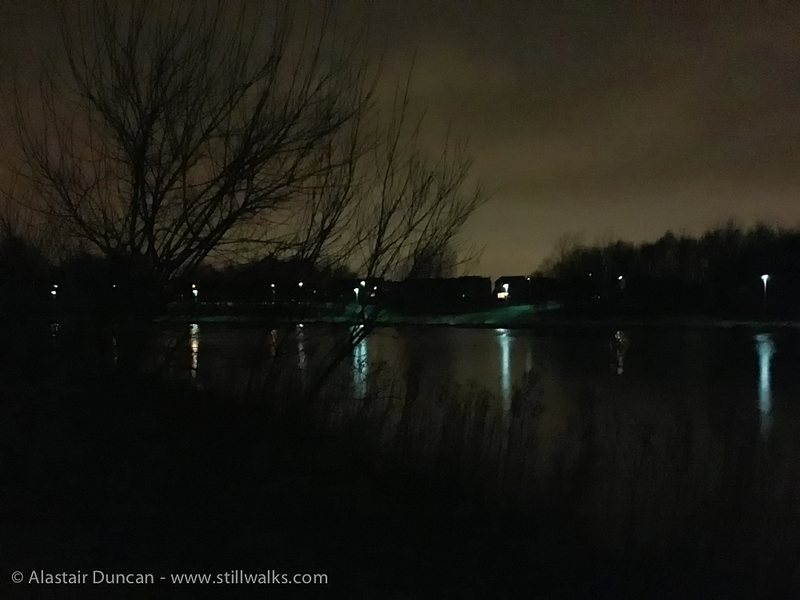 Posted in Field Recording, iPhonography, Landscape, Urban, Walks and tagged cityscape, colour, dark, field recording, Hemlington Lake, iPhonography, landscape, light, Middlesbrough, night birds, night walks, photography, reflections, silhouettes, trees, urban walks, walks, water.